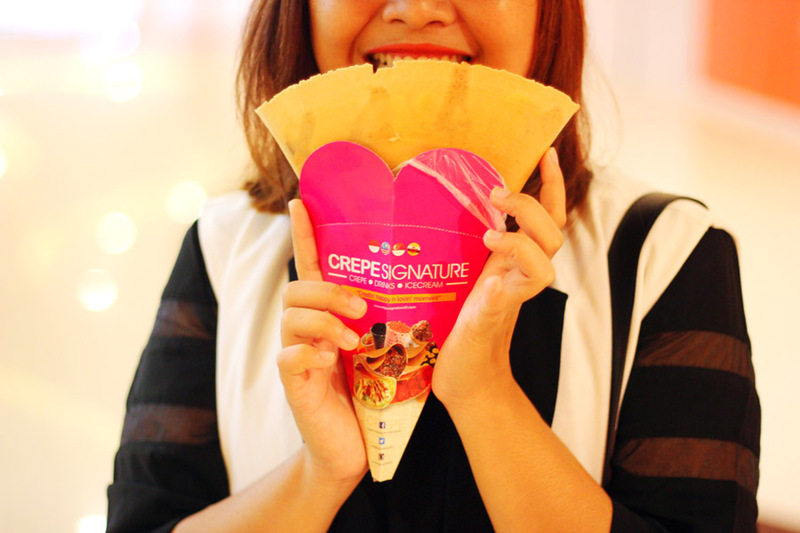 Last night I had a chance to visit and try Crepe Signature's various crepes (from premium to their best fruity and savoury crispy crepes) and some cold drinks at the lower ground of Pentacity Mall, Balikpapan. 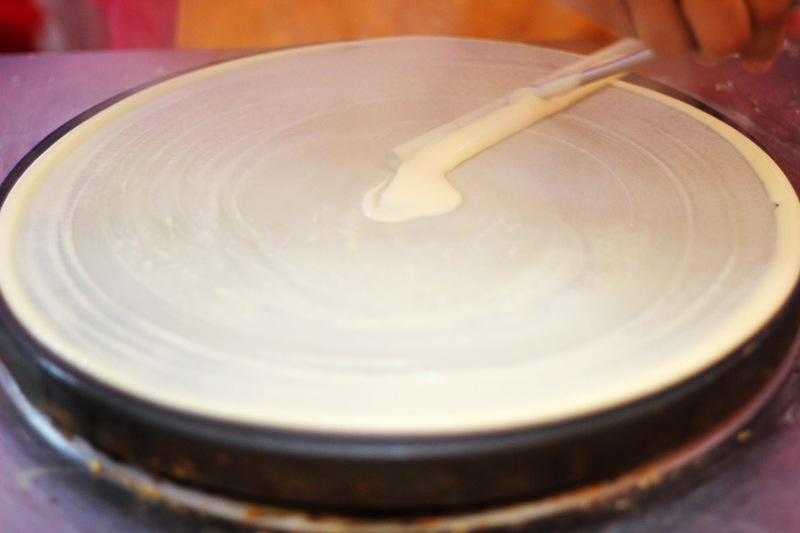 Crepe is a type of very thin pancake, usually served with a variety of fillings. 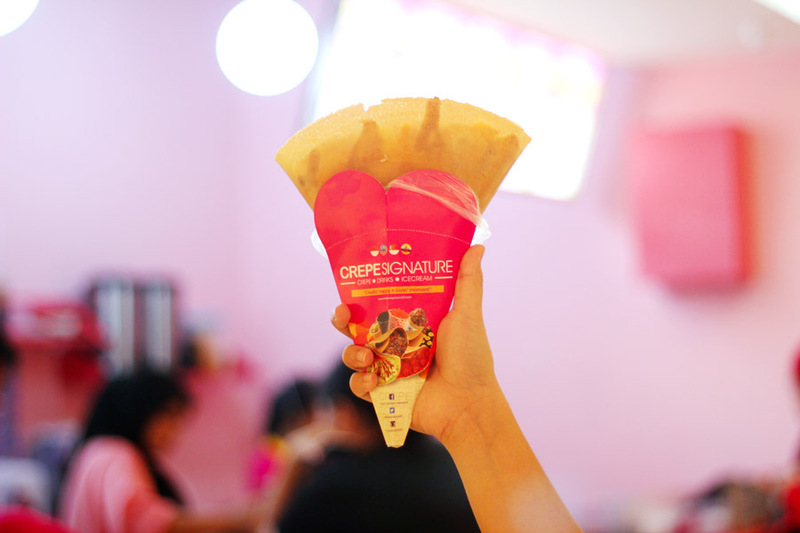 Crepe Signature actually a brand from Malaysia but you can also find Crepe Signature in Singapore, Brunei Darussalam and also Indonesia (Jakarta, Bandung, Balikpapan, Bogor, Palembang, Jambi, Banjarmasin, Manado, Makassar and Solo). 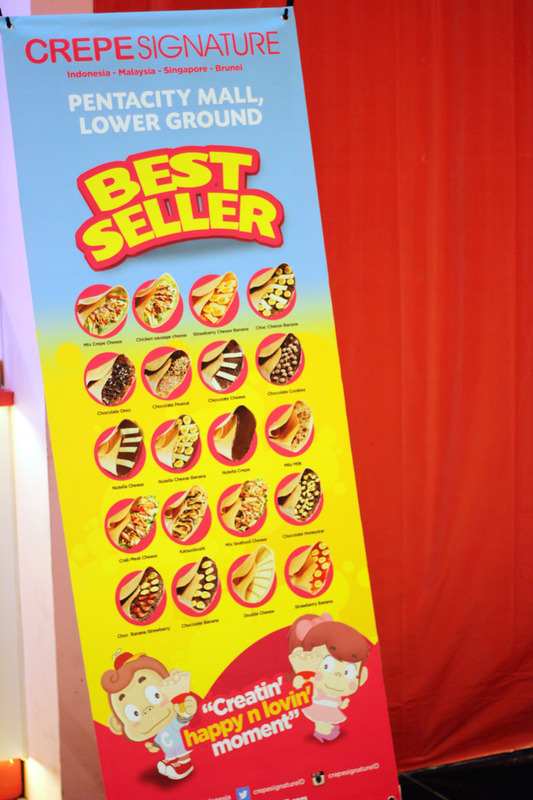 Don't worry and don't be sad if they are not in your city, they keep expanding and will be opening more outlets very soon in another city of Indonesia. 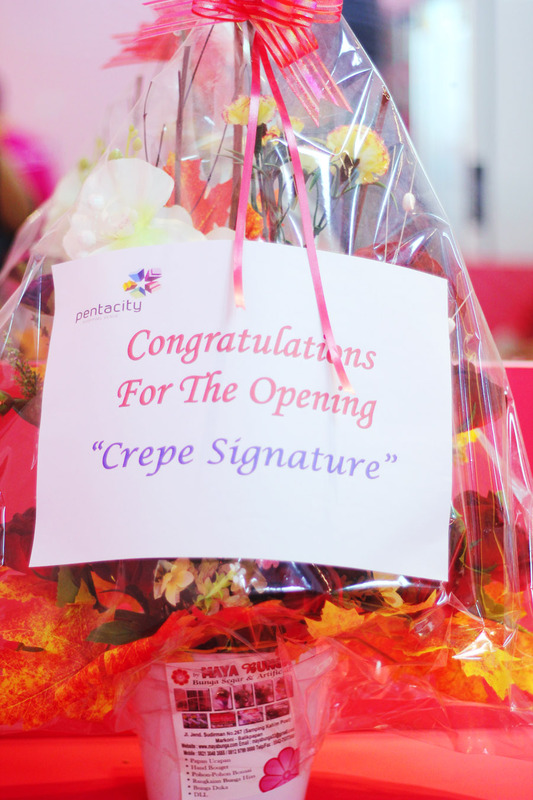 Crepe Signature Balikpapan (@crepesignaturebalikpapan) offers the natural taste of crepe with more than 30 fillings such as strawberry cheese banana, honey banana, chocolate banana strawberry, chocolate strawberry kiwi (recommended by yours truly), chocolate almond banana, chocolate oreo, milo milk, chocolate honeystar, nutella banana, ovomaltine (recommended by yours truly), kit kat green tea, crepe tuna cheese, chicken floss cheese, mix seafood cheese (recommended by yours truly) and many more, the price starts from IDR 15.000 - IDR 37.000, affordable but so delicious. 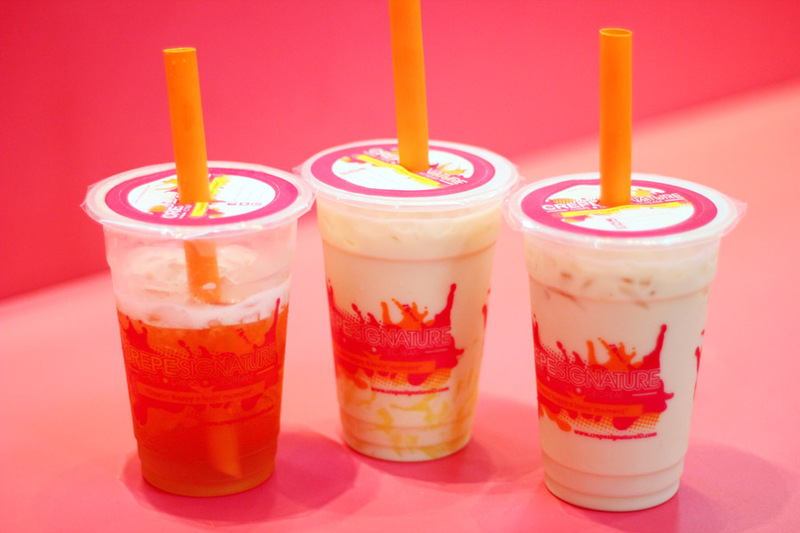 Not only offers crepes, it also provides cold drinks such as mango green tea (recommended by yours truly), fresh kiwi yakult, oreo smoothies, grass jelly fresh milk, bubble milk tea, signature milk tea, and ice cream. 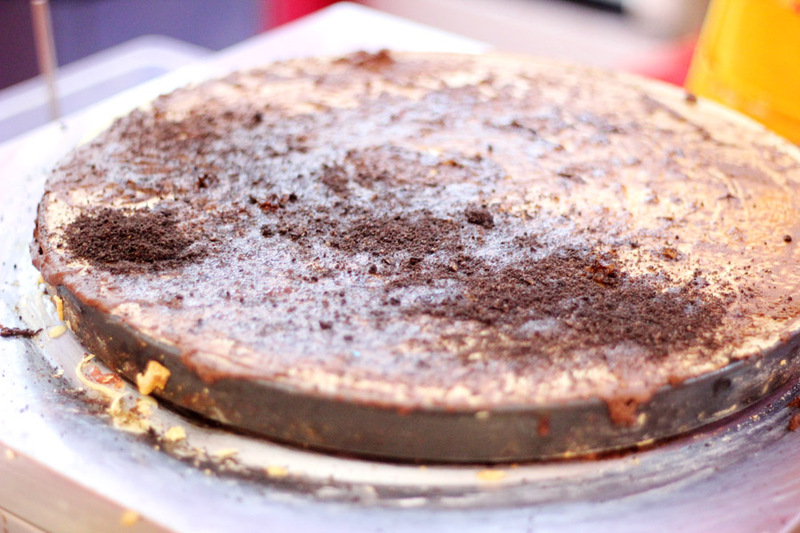 Freshly made by order, they are crispy and available in various fillings; from sweet, fruity, savoury and premium fillings / toppings. 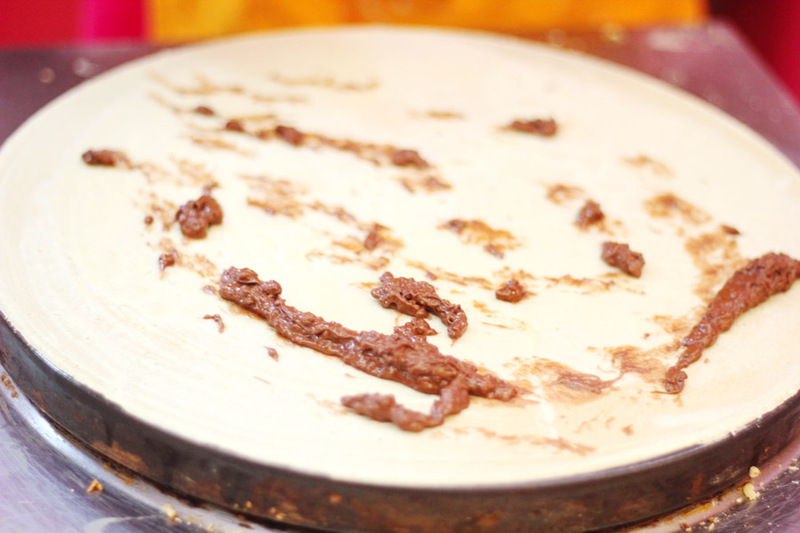 The cooking progress may take 30 to 60 seconds until the cooked side looks like the surface of the moon. 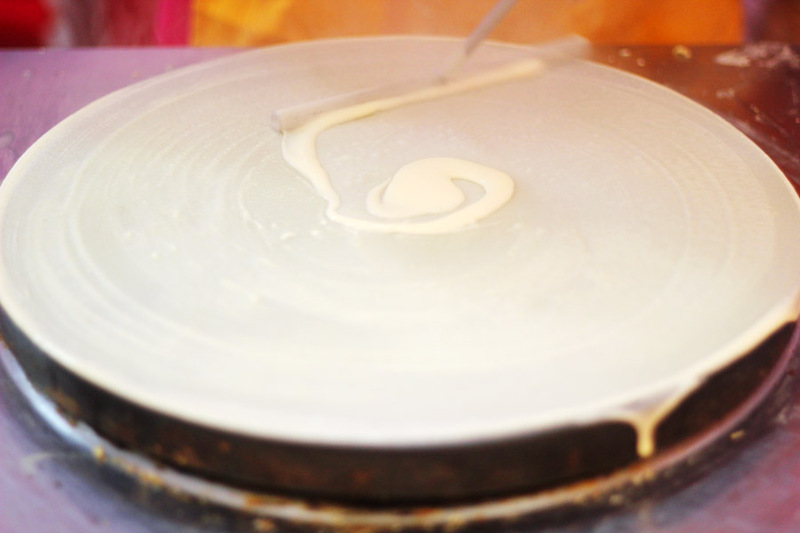 The fillings are commonly added to the centre of the crepe and served with the edges partially folded over the centre. 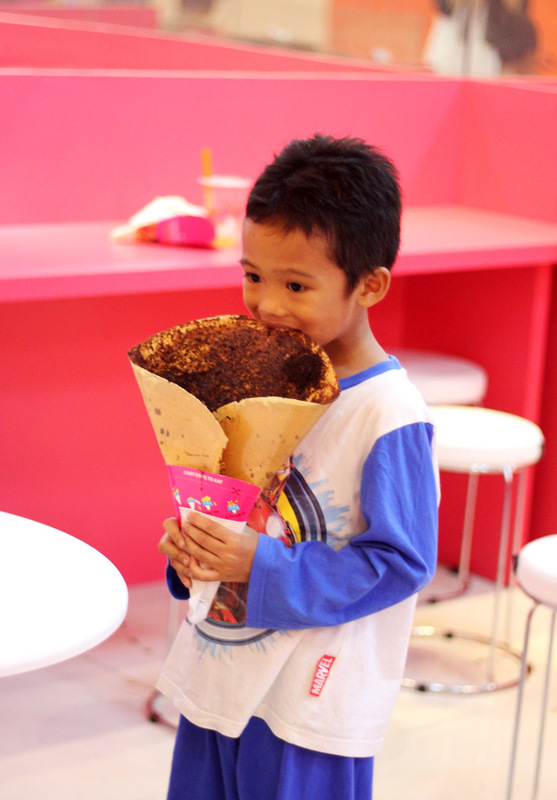 This kid really enjoyed his Chocolate Orea crepe. 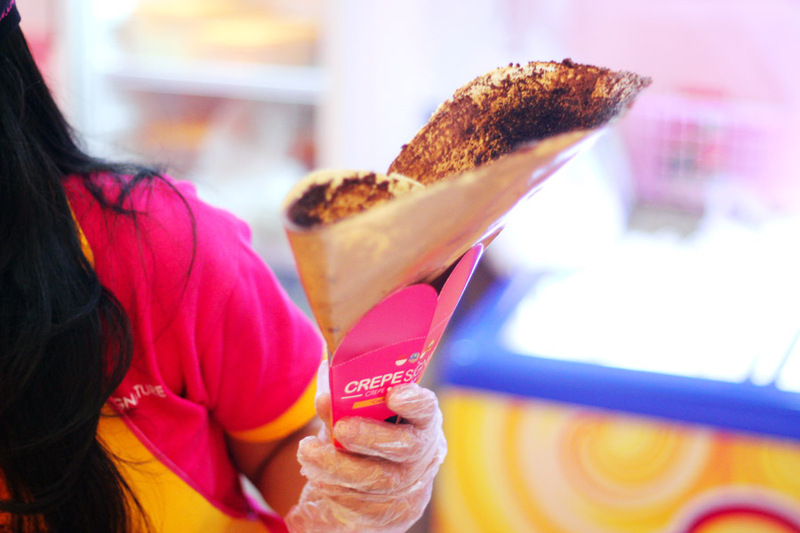 What kind of crepes I've tried at Crepe Signature crepes? I got confused, what to eat first? 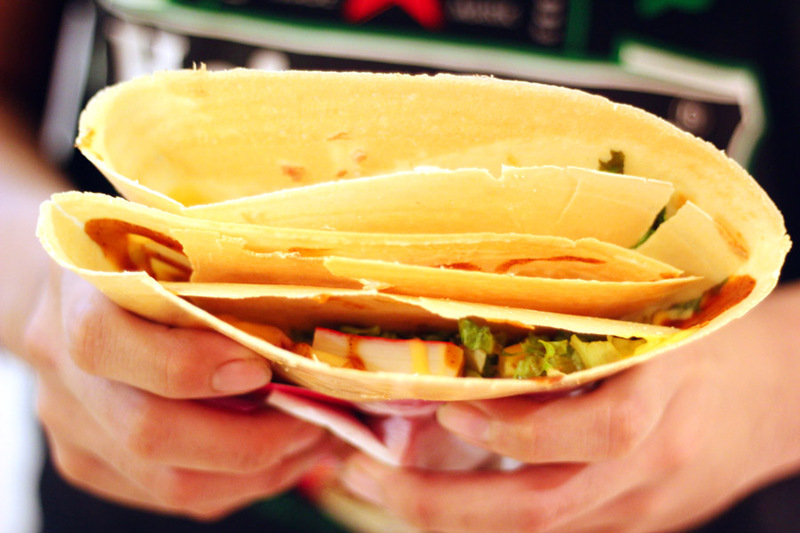 Mix Seafood Cheese crepe or Ovomaltine crepe? YES.... I chose Mix Seafood Cheese crepe first. 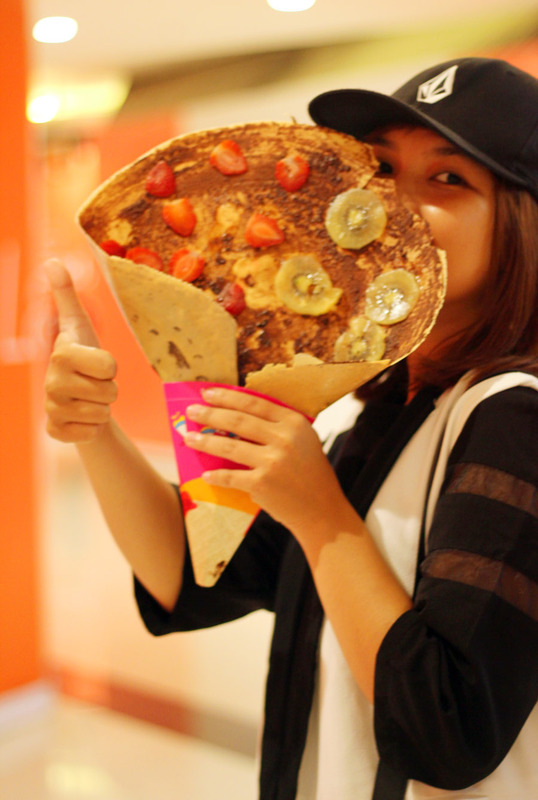 The crepes here are very eye catching and interesting and it's really huge gigantic size as you can imagine. 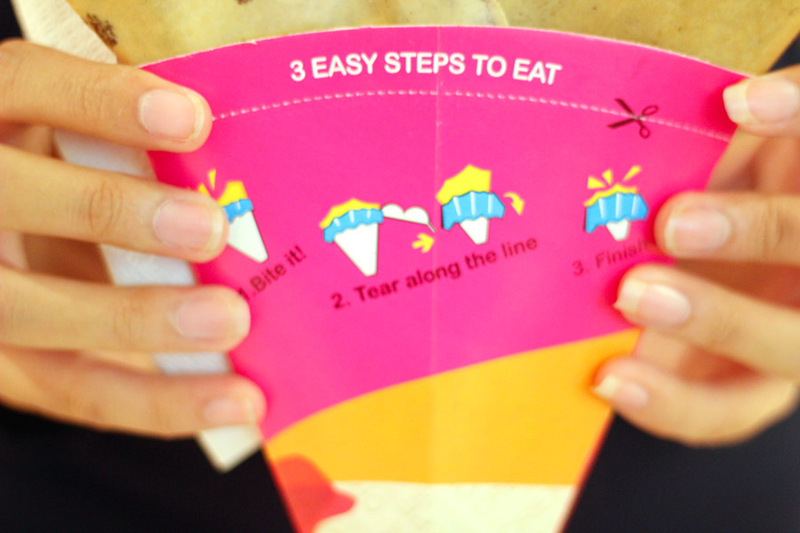 How to eat Crepe Signature Balikpapan's instruction. 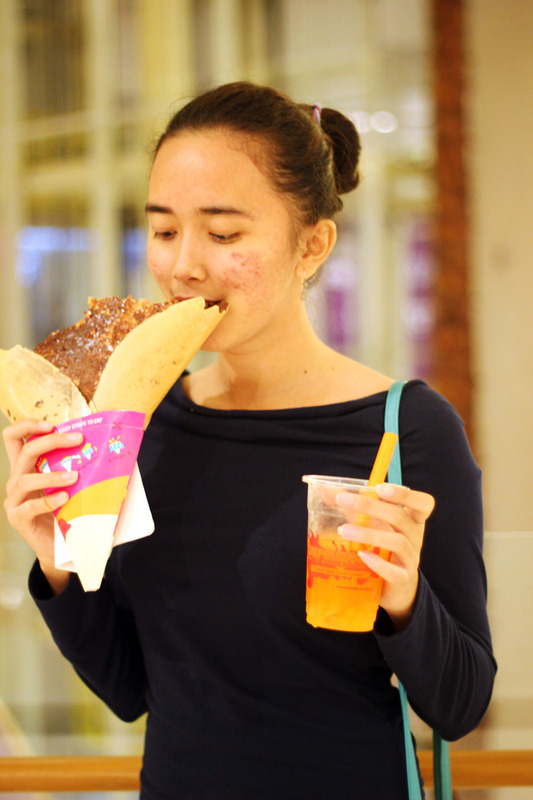 Even my sister loves Crepe Signature Balikpapan's crepe and drink. 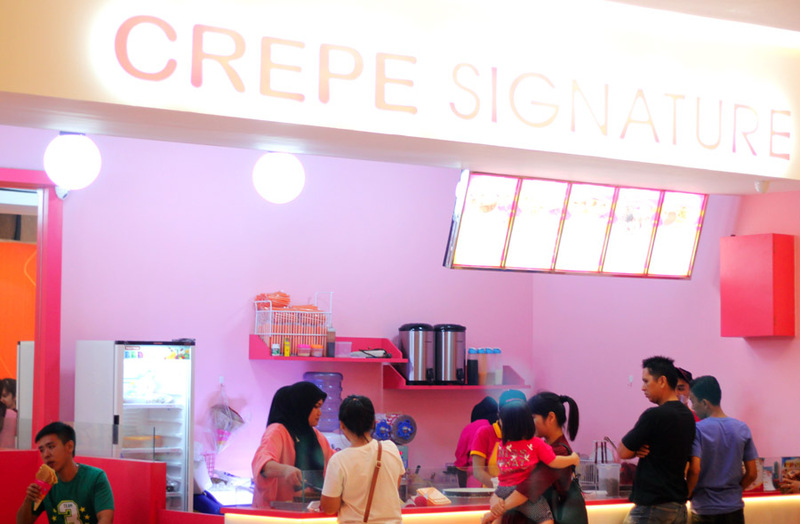 And my brother loves Crepe Signature Balikpapan as well. In terms of fashion, my outfit of the day in monochrome style. 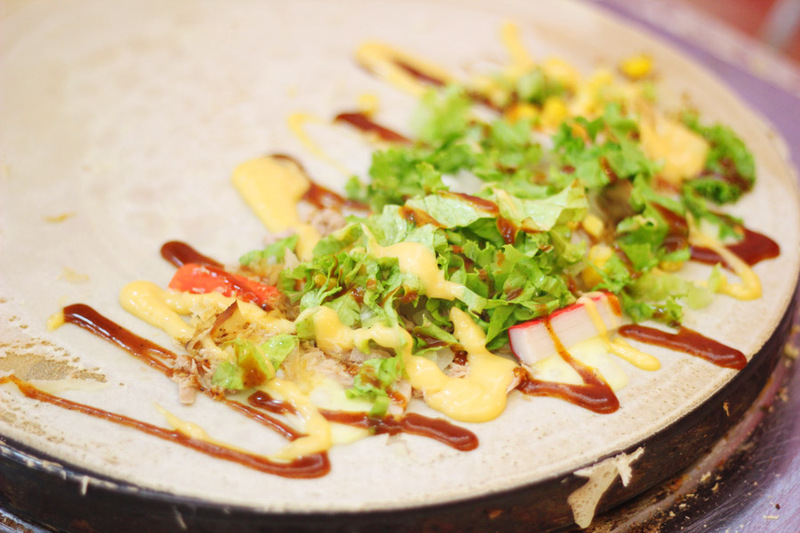 I personally enjoyed the crepes a lot especially the savoury crispy, Mix Seafood Cheese, it's so yummy, healthy and so addictive. 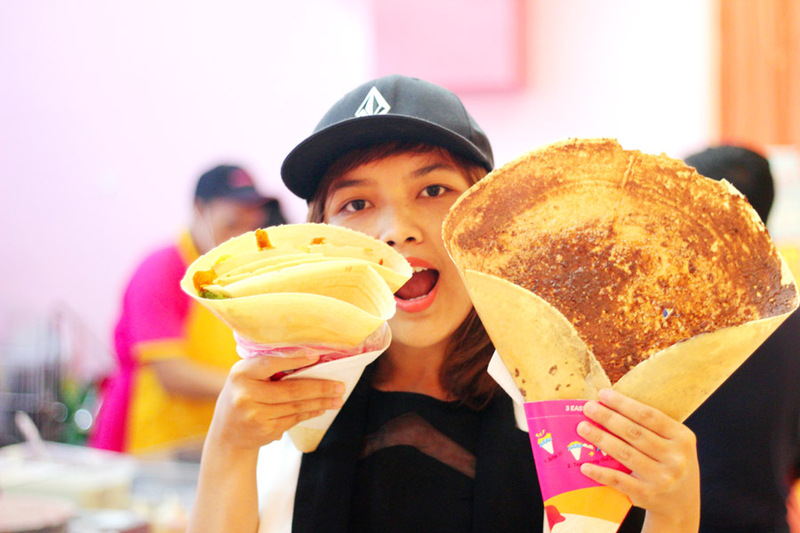 Thank you Crepe Signature Balikpapan for inviting me to try some of your best crepes and drinks, I and my relatives were fully loaded <3 We will keep coming back for sure. - Affordable, clean and delicious. 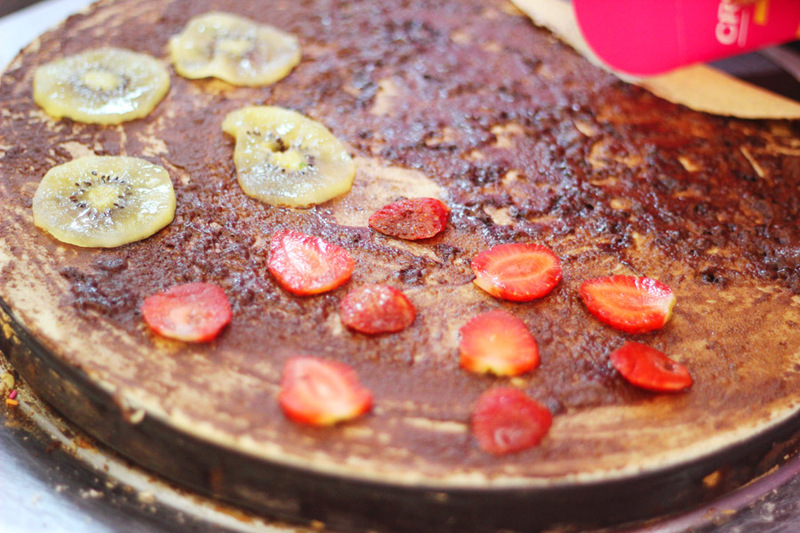 - It has various crepes with so much option of fillings. 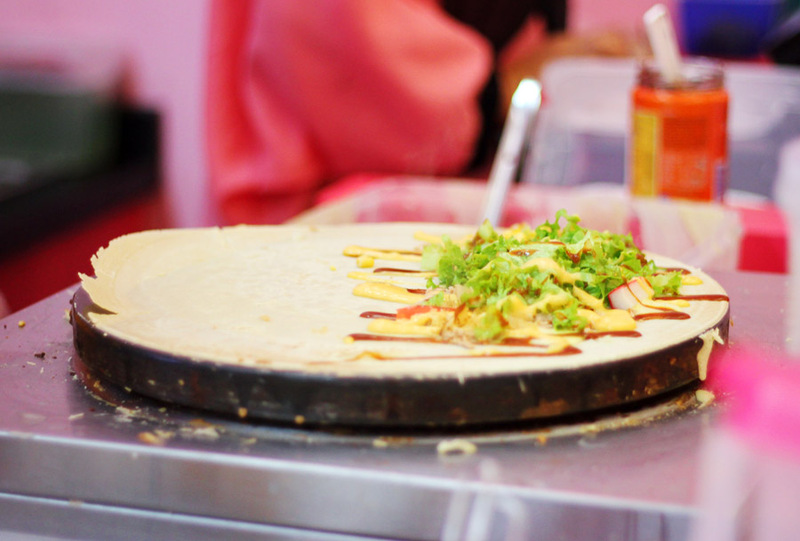 - Freshly made by order with natural fillings. 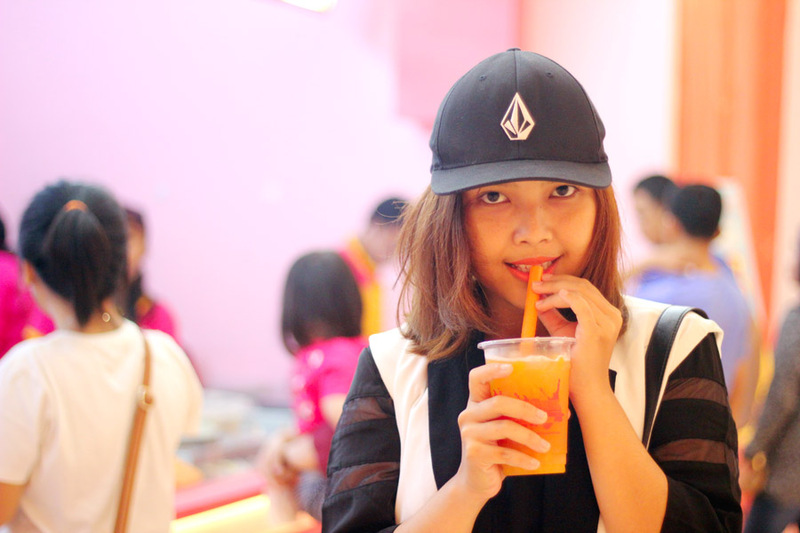 - Food quality is the best. - One is never enough. 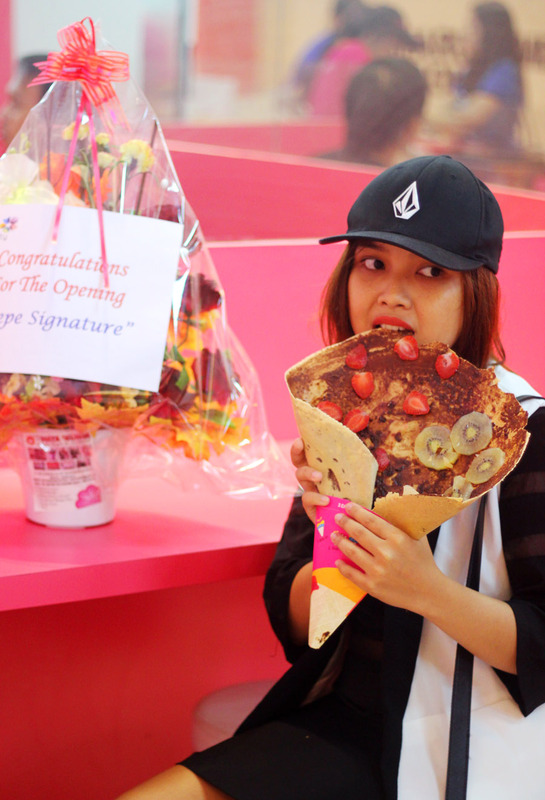 woo that giant crepe looks tempting.. 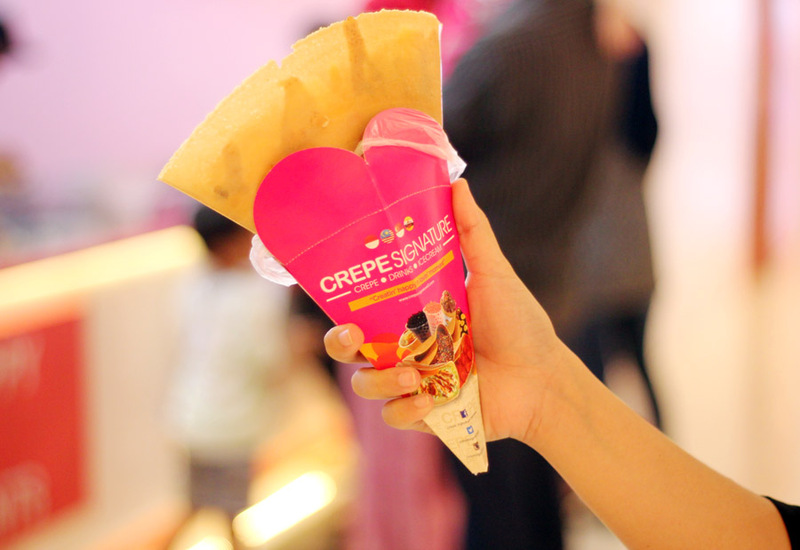 Though I live in Brunei, I've not come across the crepe place here? It looks wonderful! That is huge! It would take me a full day to eat it.